KOKOMO, Miss., Jun. 28 — A black teenager who was found hanging from a tree in his front yard in what investigators ruled a suicide may instead have been lynched for dating two white girls, the Rev. Jesse Jackson said Tuesday. Jackson asked Gov. Ronnie Musgrove and the U.S. Justice Department to launch an investigation into the death of 17-year-old Raynard Johnson. 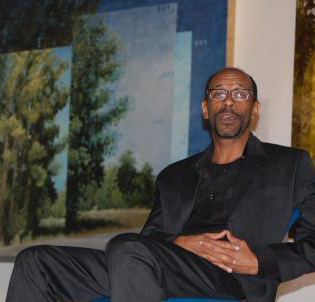 Basic Black Contributor Talia Rivera sits down with acclaimed artist Keith Morris Washington to discuss his new series of paintings addressing lynching, entitled “Within Our Gates: Human Sacrifice in the American Landscape. SUSTAINING SPONSORS: Walter Putter & Marilyn Smith | Brewster Doust, M.D.